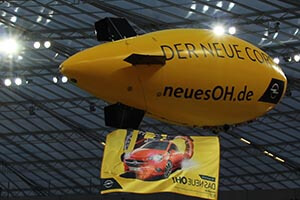 Airship Solutions Blimps/Airships have operated at thousands of events all over the world. 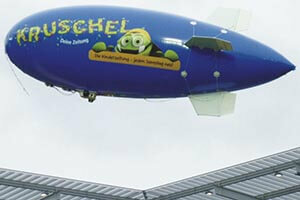 The Airships have been designed to handle some extreme conditions which is necessary of outdoor events. We are a full service provider, so quote include transportation, helium, public liability, digital links, broadcast links, release mechanisms and all other logistics. 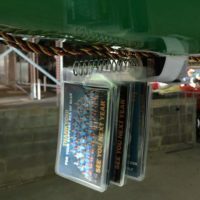 Airship Solutions Pilots/Operators are all Commercially Certified, having Commercial Pilots Licenses, Certified Unmanned Aerial Systems Licenses, or the equivalent for the countries we operate in. Ball Park figures for daily operations are $3200 – $9500. 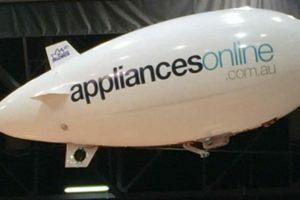 The quote heavily depends on days operating, location, flights to be conducted, video link requirements, and size of blimp and graphics/design of blimp. Each hull manufactured by airship solutions comes ready with the capability to apply internal lights. The internal lights will add value if you are outside of a venue or operating in dark skies. 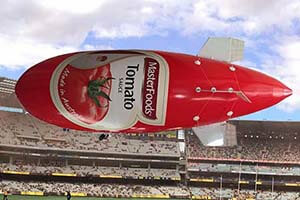 The internal lights also work best on white background blimps. 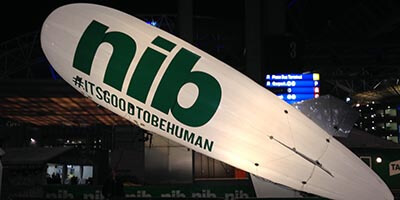 A variety or release mechanisms are available for the Stadium Airships. The airship has an auxiliary mounting section, located behind the engine unit, can be used to fit all standard release mechanisms. 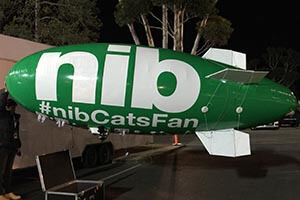 The stadium airship can be fitted with a Go-Pro style camera with either High Definition, Standardard Definition or Analogue live Video Transmitters. 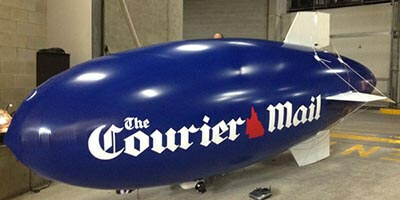 The airships can be painted, or have vinyl graphics applied. 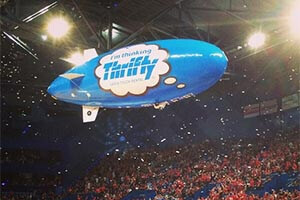 Examples of vinyl graphics is the Bulletin blimp and Courier Mail blimp. 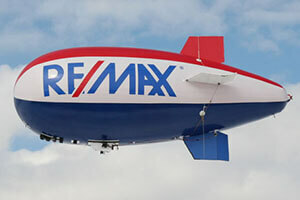 The blimps can be painted if a specific PMS colour is required, such as the Indigo Blimp or the Skytrans Blimp. 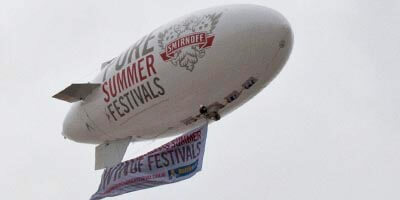 E17 Blimp Flying at an Event. The Video has lowered in resolution for website. E17 Blimp Flying at an Event. Watch the video on Vimeo, resolution has been reduced.